I don’t want to use it . How do I get rid of reminders ??? I have updated to High Sierra 10.13.5 on my Mid 2012 MacBook Pro and I do not have the “Enable Messages in iCloud” option. Would this be because my Mac is too old?! Works on mine: early 2011. Works on my late 2011 running 10.13.5. I had an iTunes update, then MacOS update ran after it. Make sure you’re actually on 10.13.5 and you’re logged into your iCloud account. Updated my iPhone to 10.4 and my MBP 13,3 to 10.13.5 and don’t get the option on 10.13.5 either? You must have an Apple ID and iCloud account to use iCloud Messages, and the iPhone must be on iOS 11.4 not as 10.4 does not support the feature. Without iCloud and the newest os versions it will not be an option. I, too, have 10.13.5 and do not have the “Enable Messages in iCloud” option on the preferences screen. I am up-to-date on all apps. Not a biggie for me so maybe either 10.13.6 or 10.14 will do it. You’re have to enable keychain for iCloud on all your devices. Same thing happened to me. This has worked for me, though I only enabled keychain for iCloud on my Mac. Its syncing fine now with my iPhone and my iPad Pro. Yes, yes, yes! This was so incredibly frustrating. I have been searching for this answer for a week. Thank you. And PS Can someone please explain to me what the difference is between using what we have had (as regards messages syncing across devices) vs the new Cloud syncing. Is it simply the difference of where the messages are stored: on the device (old way) or in the cloud (new option)? The new system is more complete. 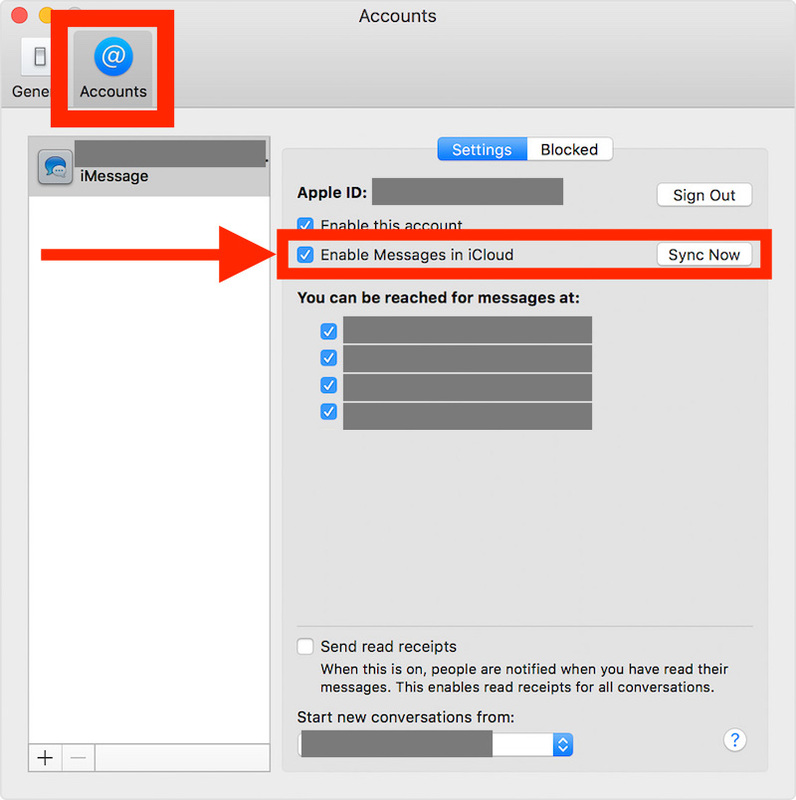 In addition to having messages sent from/received on one platform/machine (iPhone, iPad, MacBook) now you can delete messages from on and they get deleted from all the others. Complete synchronization. Is there any way how to just hide the message thread from the list on iOS? I want to be able to fina messages history but not to see it on list. Neither do I have the “Enable Messages in iCloud” option. The MAC receives messages created on my iOS 11.4 phone, but it is not deleted. Same here, I updated to 10.3.5, and I don’t have that new iCloud option in my preferences panel. I’ve got a Mid 2012 Retina MBP. Well the reason you do not have the setting is that because Mac OS X 10.3.5 does not support iCloud let alone iCloud Messages. You need macOS 10.13.5 or later. Really 10.3 is old software, I am surprised it runs on a newer macintosh, I believe it is from 2004 or so and iCloud was not even around yet back then. OP obviously meant 10.13.5 and just dropped the 1. You must have two-factor authentication enabled for this option to be visible. My MacBook Air Mid 2013 macOS 10.13.5 has two-factor authentication turned on, but still I do not see the “Enable Messages in iCloud” option. Quote: You must have two-factor authentication enabled for this option to be visible. Thank you Wim F. Abbenhuis, a most valid point! Thanks for this. I couldn’t figure out how to get messages on my Macs. I can’t use most of your hints but this — if it works, which it looks like it will — is a winner. Just double-checked in Preferences/iCloud/Account Details/Security, and it says “Two-Factor Authentication: On”…still no new Messages/iCloud check box. I have two Mac’s and one iPhone using the same Apple ID. Since I activated the 2nd Mac it happened that I have some Messages on one Mac that never appeared on the second one. I used to always keep my iphone messages empty, when I realized they were correctly stored on my Mac. 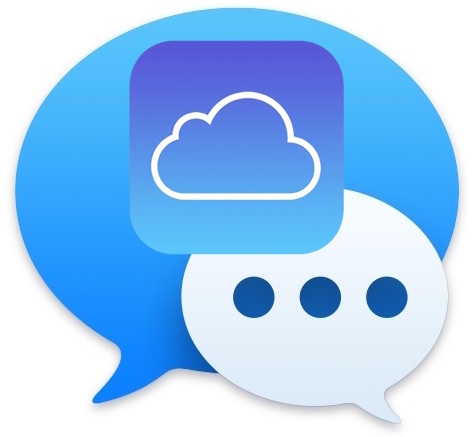 I don’t want iMessage in the Cloud but I would try it only to fix messages on both my Macs. If that would work, is it possible to disable iMessage in the cloud and keep all the messages finally (hoping) fixed on my Macs? Or disabling it will permanently delete them in all my devices? I’m old school, I prefer saving my things on my devices… Cloud is someone else’s computer, nothing more. What about enabling “iMessage in the Cloud” on Mac, let it sync all the messages from all the other devices and then disabling it only on that Mac? Do the previously synced messages are deleted or they stay on that Mac? Just tried turning on keychain and now the option to enable messages in icloud is there. All my devices are updated and sync’ing is not working even though enabled. I am waiting for a call from iCloud Support tomorrow. I did activate it on all my platforms and now it won’t use my phone number. Only email address. I don’t like that. I am on iOS 12 any idea how to change?